Ashok Leyland has partnered with IIT Madras to carry out research and development (R&D) activities for strengthening battery engineering and related sub-parts, especially for electric vehicles. IIT Madras is the first institution to set up such an initiative to develop the electric mobility ecosystem in India with industry participation. Ashok Leyland will sponsor the Centre of Battery Engineering (CoBE) at IIT Madras. The Head of Electric Vehicles and e-Mobility Solutions at Ashok Leyland, Karthick Athmanathan, said that with this initiative in battery engineering, the company would be a participant in India's aggressive push to stay ahead of the curve as far as electric mobility is concerned. CoBE will be a key partner in the country's electric mobility vision and will help in understanding this technology better. It will also help in staying ahead of global players. 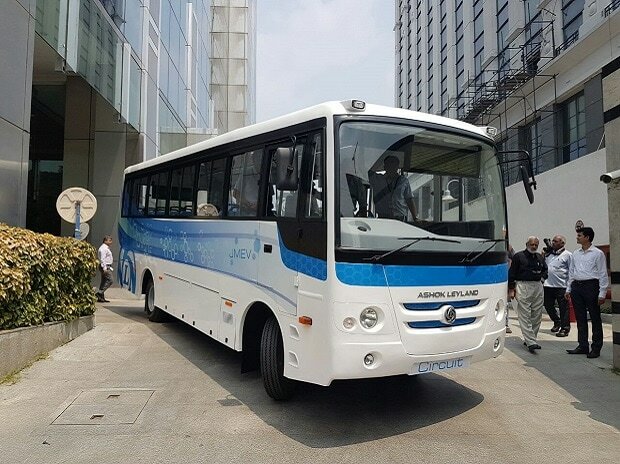 In August, Ashok Leyland formed a strategic alliance with SUN Mobility, which is promoted by Reva founder Chetan Maini and Uday Khemka, to develop electric mobility solutions. Ashok Leyland has been focusing on solutions for electric vehicles as it targets achieving nearly 10-15 per cent of its total bus volume from e-vehicles by 2020. Professor Bhaskar Ramamurthi, director of IIT Madras, said, "Battery engineering, specifically for electric vehicles, is a very important emerging area of research and innovation. By pledging long-term support and collaborating with the CoBE at IIT Madras, Ashok Leyland is making a significant contribution to this critical technology for India's future energy and transportation needs." Professor Devendra Jalihal heads the Department of Electrical Engineering at IIT-Madras. Under this department, the CoBE functions and carries out multi-disciplinary research work in several areas related to batteries and electric vehicles, including battery management systems, battery testing, battery charging, and developing national standards for communication between electric vehicles and cloud servers. In addition to joining the panel of CoBE sponsors, Ashok Leyland is also keen on carrying out a fair amount of confidential consulting research projects with CoBE over the next few years. This will not only help the company evolve as a competitive player and India-optimised solutions provider for its customers but also help in realising its ambition to stay ahead of global practices in this domain as the fourth-largest bus maker in the world, said the company. CoBE will work towards understanding various battery issues and challenges in various areas of applications. It will also undertake high-quality research projects to overcome these challenges. It will focus on the physics part of battery technology as against other research units working on newer chemistries of the batteries. CoBE will target to work on battery engineering and thorough characterisation of batteries via detailed testing, optimising battery performance for different applications, and work towards better economics. CoBE will collaborate with various cell manufacturers from across the world, procure cells, and characterise them to create a knowledge centre on available cells, providing the industry with valuable data to select appropriate solutions. It will study the impact of partial charge-discharge cycles with varying depths of discharge and operating temperatures on battery life. It will work on developing the next generation of smart battery chargers and battery management protocols. By working on the design configurations and packaging cells into modules differently, optimisation studies on batteries for different lifetimes and for different applications will be undertaken.